Armour Expansion Mod doesn’t make the game overpower while still adding 5 new armour & tool materials to your Minecraft world. Quartz armour: Gives mining haste 3 ? Cut through blocks as if they were butter. Now for the fifth armour. For when you’re so rich making it rain just doesn’t cut the mustard. You can now make Emerald Armour. This is stronger than diamond and gives you the strength to punch 130% harder than before when a full set is worn. Sure it maybe a little overpowered, but when you’re this rich who cares? 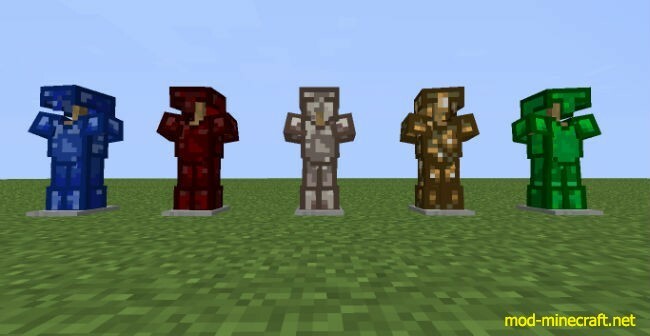 Each armour can be made using the new ingots or vanilla emeralds as per the vanilla armour recipes. 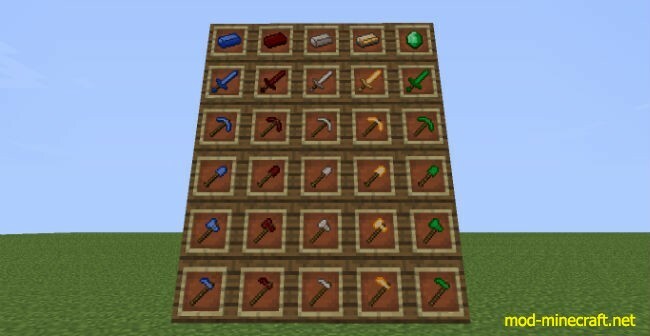 Also included in this mod is a tools expansion, using the above ingots or emeralds to make tools by the vanilla recipes. These can harvest everything that iron can, have a durability and attack between stone and iron, yet break blocks faster than iron. The benefits may be more aesthetic than practical, but at least you can mine with style?